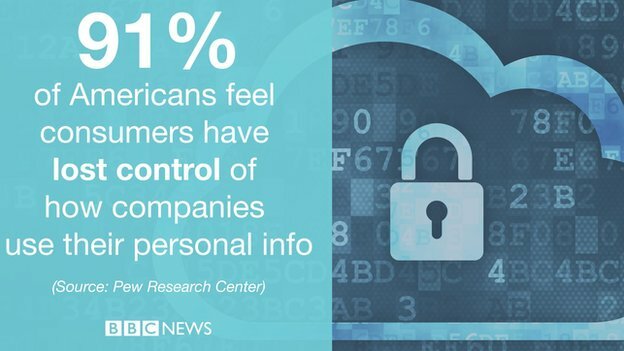 91% of Americans feel they are not in control of their info, and think it’s their own fault. The Pew Research Center released a study on how Americans feel about their privacy in a post-Snowden era. Not surprisingly, the results show that 91% of Americans feel they don’t have control over how they data is used, and for good reason. The information they are worried most about is consistent with other studies, where data which can be used to defraud or impersonate them have highest priority, followed by behavior information, with social and demographics at the lowest priority. However what is interesting is the extremely high importance of health care information that the new study revealed, which as far as I can tell is not dangerous in terms of fraud or impersonation, but just … well …. private. Similarly, inter-personal communications such as emails, calls and text are also considered highly private. The increasing importance of the privacy of communication could very well be attributed to the events surrounding Snowden and the NSA. But this only becomes really interesting when looking at the the Pew survey in context. A recent study from Lightspeed GMI surveyed where individuals lay responsibility for preserving privacy: “who’s job is it to keep this stuff private?” Germany, Mexico and India all put the mandate on the mobile providers and then government to regulate the use of private data and guard individual privacy. In the US however, people believe it is their own job (followed by providers, marketing companies, and only then government) to keep their information private. However, most people do not have the data they feel they are responsible for protecting, nor do they understand how analytics can get this information from seemingly unrelated data (some health information can be decoded from accelerometer data for example). This entry was posted in Uncategorized on November 12, 2014 by Dawud Gordon. 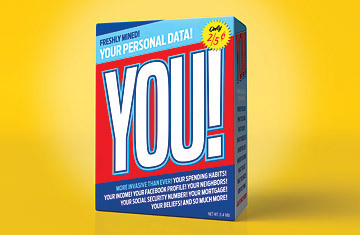 The next big buzzword in Quantified Self is out, and it didn’t come from Quantified Selfers. “Quantified Community” is the term real estate moguls are using when they refer to the newest high-end real estate projects in New York City. Real estate companies would like to quantify everything they can about the individuals within a space, as well as environmental parameters of that space. The goal is to present investors and renters/buyers with a complete documentation of the space and its inhabitants to help them reach a decision. The Hudson Yards real estate project on Manhattan’s West Wide is the proving grounds for this new concept. They want to measure everything from air quality sensors in the environment, to individual step counters and quantifiers on the individual’s smartphones, all opt-out of course. Even quantifying individuals who are not participating seems to be within the scope. A suggestion to use Google Glass has been made, which will surely prompt an outrage, perhaps “Community of Glass-holes” will be trending soon. The resulting data will be used not only for marketing purposes, but also to improve city planning in the immediate future. Even reducing the energy footprint of these communities appears possible with accurate usage data. Users are expected to want to contribute their data since their participation will have a positive impact on their daily environment. As always, success of the project will live and die with the willingness of the user to share. And that depends on how well they understand data analytics, how much they they trust the entity collecting data, and how well they understand what it will, and will not, be used for. This entry was posted in Uncategorized on November 8, 2014 by Dawud Gordon.